Microsoft Dynamics GP Error Message: "Currency ID Not Selected"
Have you encountered a message stating “The currency ID is not selected for this posting account” in the Microsoft Dynamics GP General Posting window? This message may appear to indicate that the General Ledger Account directly above the message is missing the currency association as shown below. In actuality, the message is simply stating that one or more of the accounts is missing the currency ID. There are two ways to resolve this. 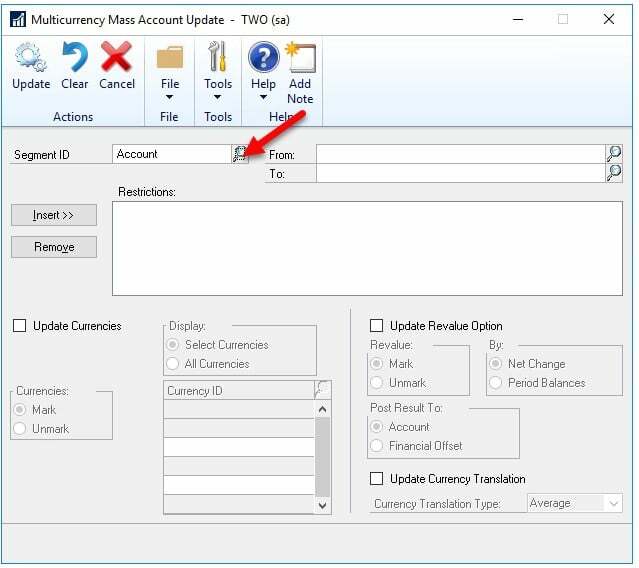 The first option is to go to Financial > Cards > Account, and in the Accounts Maintenance window and pull up the account. 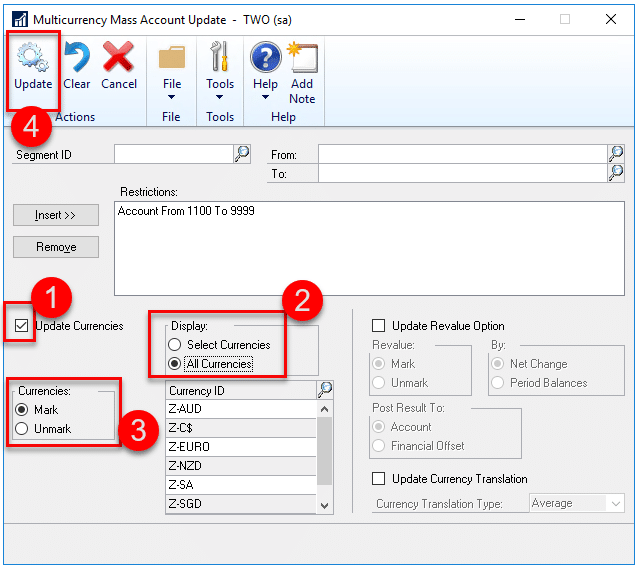 Then, from the Select Account Currencies window check that the currency is marked. If it is not, check the box and click the Save button within the window. 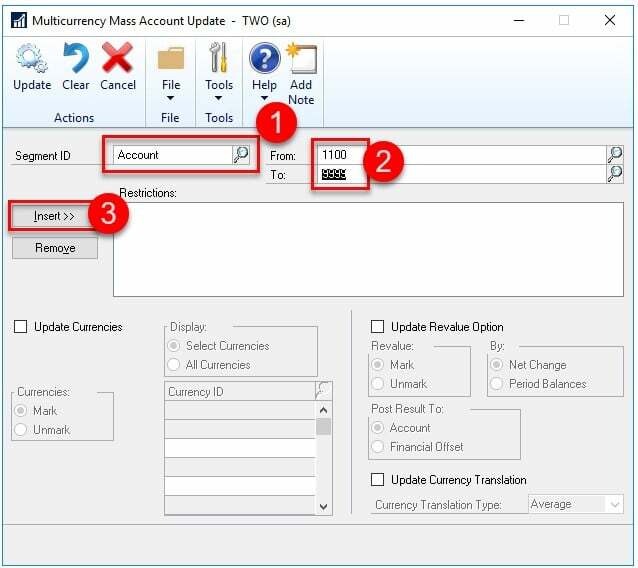 The second way to resolve this is to use the Multicurrency Mass Account Update window to update a range of accounts. You can do this by selecting Cards > Financial > Currency Account Update. Select the Segment for the range. 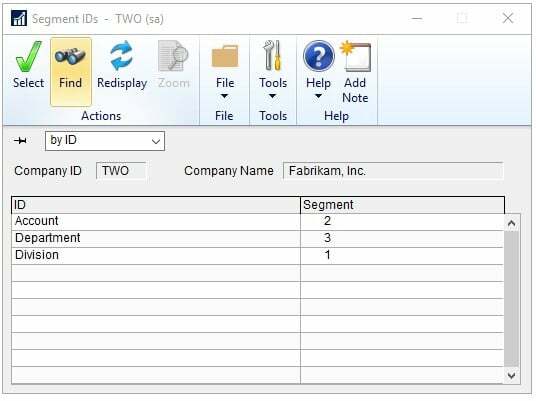 Use the Find tool to find a list of Dynamics GP segments. 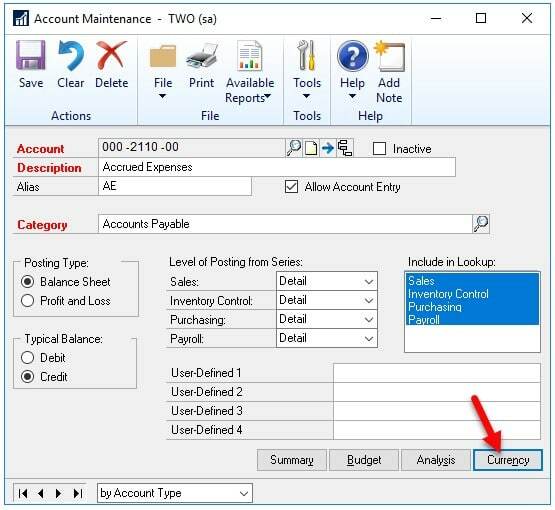 You can select one, a few, or all of the segments to outline the range of accounts to update. Once you have selected the Segment ID, use the From and To fields to create the range. Then click the Insert button to add the range to the Restrictions box as shown below. Next, mark the box to Update Currencies. 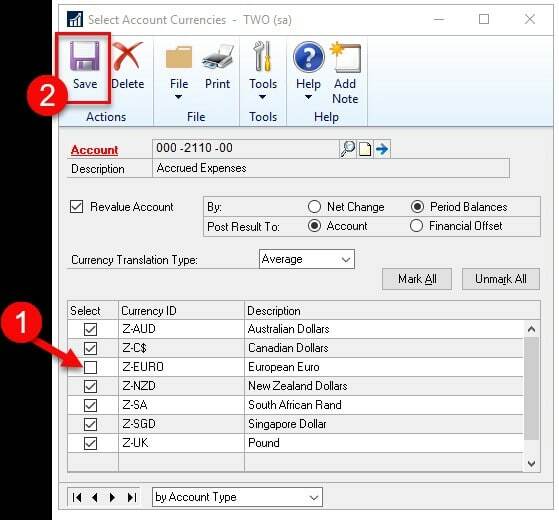 In the Display area choose either “Select Currencies” or “All Currencies.” If you choose Select Currencies then use the lookup button to select the currency or currencies to add to the General Ledger Account range. In the Currencies area select the “Mark” radio button. Finally, click the Update button. 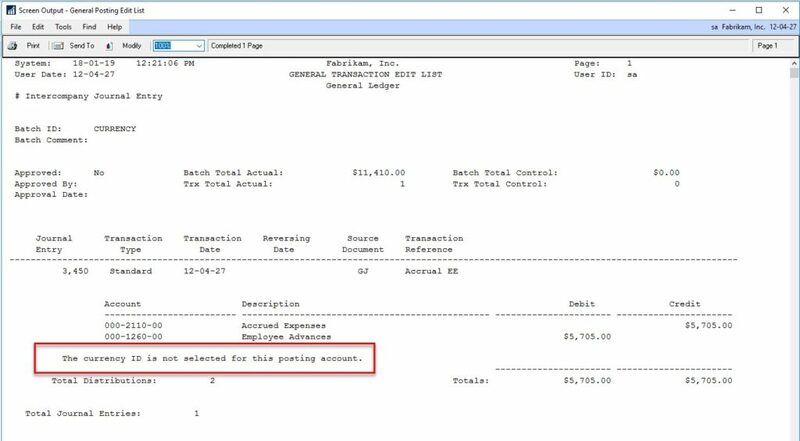 This will add the currency to the selected range of Dynamics GP general ledger accounts. Note: there will not be a report that prints afterward. Once the currency or currencies are updated, the Financial batch will post. At this time you can run the financial batch edit report and the error message will have been resolved. If you have questions about this process or others in Microsoft Dynamics GP, ask our GP consultants today.